CryEngine’s GDC showreel. Developer Crytek announced at the show that the game engine is now available on a ‘pay what you want’ basis. Since there is no minimum donation, CryEngine V is now effectively free. Crytek has released CryEngine V, the latest version of its AAA game engine – and made it available on a ‘pay what you want’ basis with no minimum donation, meaning that developers can now use it for free. The news was announced at GDC 2016. In some ways, the surprising thing about the announcement is not that CryEngine is free to use, but that Crytek waited so long. Originally the preserve of major titles like NCSOFT’s Aion and Crytek’s own games, the firm first made CryEngine accessible to indie developers in 2014, charging a monthly fee of $9.90. However, the engine never acquired the same momentum in the dev community as Unreal Engine 4, which Epic Games had also made available on a rental basis earlier that year. When Epic made UE4 free to use at GDC last year, and Unity Technologies made the features of Unity Pro available in the free version of its own engine, it seemed like a decisive blow. Amazon, which cut a multi-million-dollar licensing deal with Crytek in 2015, subsequently incorporated CryEngine’s core technology into Lumberyard, its own free AAA engine, released earlier this year. Strictly, CryEngine isn’t actually free, but available on a ‘pay what you want’ basis with no minimum donation. If you decide to pay – suggested amounts run from €10 to €500 – you can choose how the money is split between Crytek and its new indie dev fund, intended to support “promising indie games built with CryEngine”. The firm is throwing $1 million of its own money behind the fund. Although the news has been overshadowed by the change of pricing, Crytek has also released a new version of the engine. 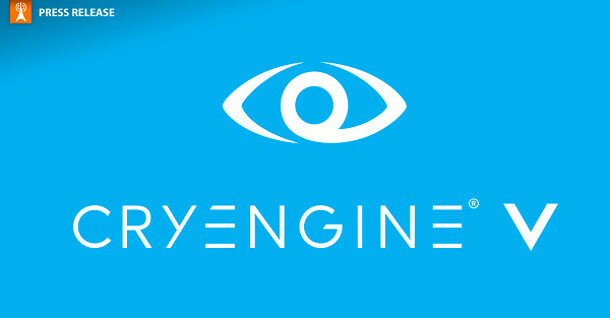 CryEngine V features a new C# API, and support for DirectX 12 and audio middleware FMOD Studio. On the graphics front, there is a “reworked low-overhead renderer”, plus a new particle system designed for real-time fluid effects, and a volumetric cloud system optimised for VR. The update expands CryEngine’s support for VR headsets: Crytek’s press release namechecks “PlayStation VR, OSVR, HTC Vive and Oculus Rift”, so we assume they’re all supported natively. In addition, the engine’s UI has been streamlined to make it possible to navigate more intuitively. As a free tool, users don’t get one-to-one customer support, so Crytek has just launched CryEngine Answers, a new online channel where novices can ask questions of more experienced users. The company has also launched CryEngine Marketplace, an online platform for users to download engine-ready assets, or sell their own, along the lines of the UE4 Marketplace and the Unity Asset Store. CryEngine V is available now as a pay-what-you-want download. Unlike with Unreal Engine 4, Crytek does not take a cut of the royalties from games released commercially. The editor is Windows-only, and is compatible with Vista SP1 and above. It can deploy games to Windows, Linux, PlayStation 4 and Xbox One; for mobile titles, you’ll still need to use another engine.